Dr. Hage Geingob, the President of Namibia has conferred an official state funeral on the late Omukwaniilwa Immanuel Kauluma Elifas of the Ondonga Traditional Authority since 1975 until his death at the age of 86, Omukwaniilwa Kauluma presided over the Ondonga Traditional Authority. President said he learned with sadness of the passing and extended his heartfelt condolences to the family and friends. 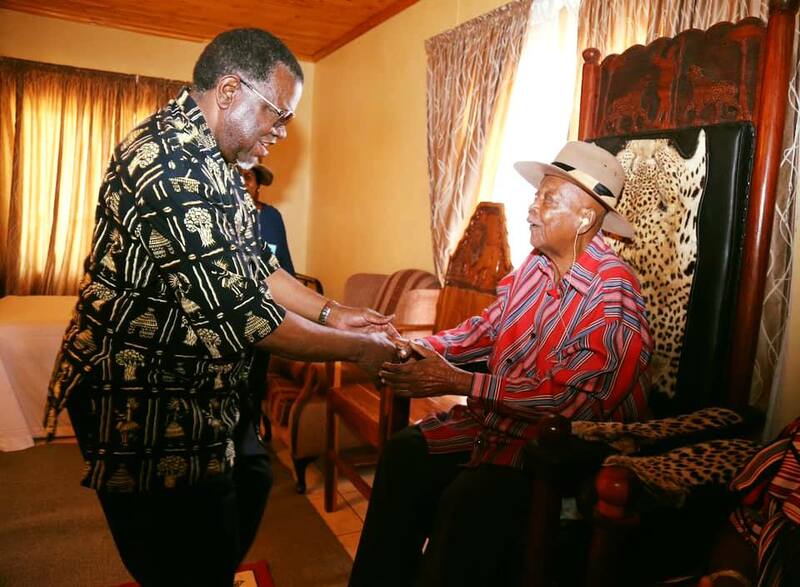 On Wednesday President Hage G. Geingob conferred the honour of Official Funeral on the king who passed away on 26 March 2019 at Onandjokwe Lutheran Hospital at the age of 86. 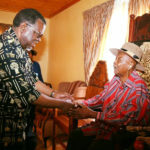 At the same time State House confirmed that the remains of late Omukwaniilwa Elifas will be interred at the old Olukonda Mission (Nakambale) Cemetery from Olukonda Parish in Oshana Region on Saturday, 13 April 2019, preceded by a Memorial Service on Friday, 12 April 2019 at Onamungundo Village.